Dozens of Shi'ites gathered on Thursday night in Qatif, the main Shi'ite town in the Eastern province, to demand the release of fellow prisoners held for long periods without trial, resident Shi'ite sources said on Saturday. There was no official confirmation of the demonstration which was also reported by Shi'ite website Rasid.com. It said protesters had carried pictures of prisoners whose release they demand. Last week, Saudi authorities released three prisoners after Shi'ites in Qatif's neighbouring town Awwamiya staged a small protest, according to resident Shi'ites. Analysts say top OPEC exporter Saudi Arabia would be worried if protests in Bahrain, where majority Shi'ites have been demonstrating against the Saudi-allied Sunni government, spread to its Shi'ite minority who mostly live in the Eastern province, the source of Saudi oil wealth. Saudi Arabia applies an austere Wahhabi version of Sunni Islam and minority Shi'ites say that, while their situation has improved under reforms launched by King Abdullah, they still face restrictions in getting senior government jobs. The government denies these charges. Shi'iites stand to benefit like other citizens from $37 billion in government benefits King Abdullah unveiled on Wednesday upon his return after spending three months abroad for medical treatment. Awwamiya was the scene of protests for weeks in 2009 after police launched a search for Shi'ite preacher Nimr al-Nimr, who suggested in a sermon that Shi'ites could one day seek their own separate state. The secessionist threat, which analysts say was unprecedented since the 1979 Iranian revolution provoked anti-government protests, followed clashes between the Sunni religious police and Shi'ite pilgrims near the tomb of Prophet Mohammad in the Muslim holy city of Medina. Since then Saudi Shi'ites say the situation has calmed down but they are still waiting for promised reforms to be carried out. 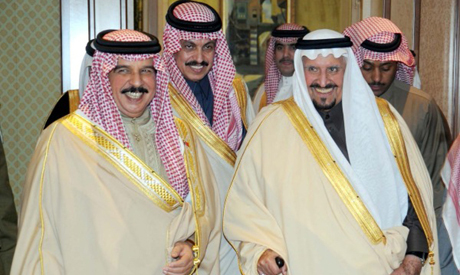 Officials say Shi'ites make up 10 percent of the Saudi population, although diplomats put it closer to 15 percent.